Description: Shows Like A Model Home. Very Large Living Room And Kitchen Make This Home Ideal For Entertaining. 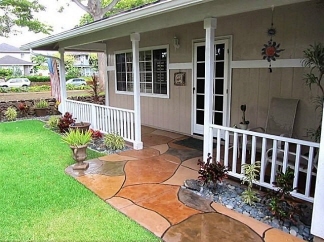 The Fenced Back Yard And Covered Patio Are Great For Bbqs, Sunset Dining And Pets. The Master Bedroom Is Spacious And Features A Walk-In Closet. There Are Two Areas For Office Nooks, One Downstairs And One On The Second Floor Landing. The Kitchen Has Upgraded Counters And Newly Finished Cabinets.